It’s going to be hard for Twenty One Pilots to top the success of their last album. Every tune on “Blurryface” went gold, platinum or, in some cases, multiplatinum — the first album to do so in history. But if anyone’s going to do better, it’s these two guys from Ohio. “Trench,” the 14-track, fifth album from vocalist Tyler Joseph and drummer Josh Dun (as well as songwriting help from Paul Meany), is every bit as good as “Blurryface,” continuing the band’s genre-bending trademark of tackling various styles and showcasing a knack for songwriting. We reach peak Twenty One Pilots on “Pet Cheetah,” an exhilarating and daffy tune that namechecks Jason Statham as it mixes techno, rap and rock, along with a healthy dose of reggae and house. No one out there makes music as thrilling as this. “Trench” is a more low-key album — “Cut My Lip” and “Neon Gravestones” are slow burners — and Joseph and Dun show maturity in not overworking songs, too. The last track, “Leave the City,” is a piano-driven gem with understated drumming and ghostly vocals. 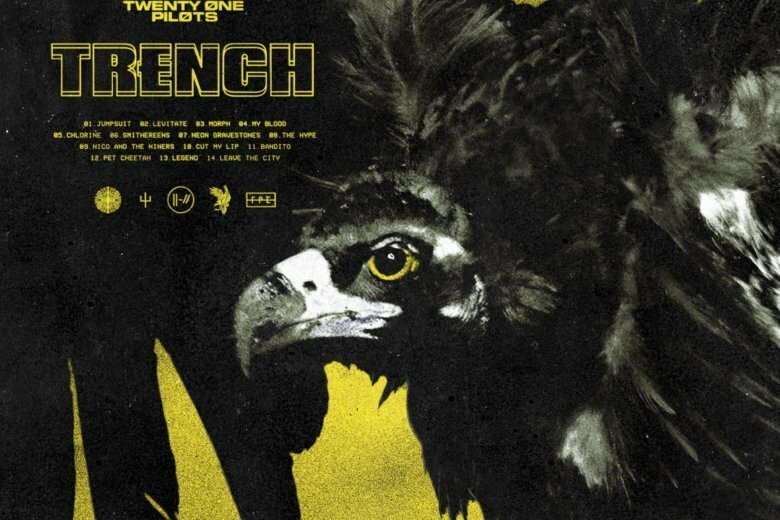 Of course, it wouldn’t be a Pilots record without opaque lyrics that connect the songs — “jumpsuit” and “neon” — and the album to a larger fantasy narrative that has spooled out over several albums and onto websites. We’ll leave all those clues — references to Dema and the bishops and Nicolas Bourbaki — to the fans on Reddit. Well, he’s certainly done that. He’s made another album full of them.